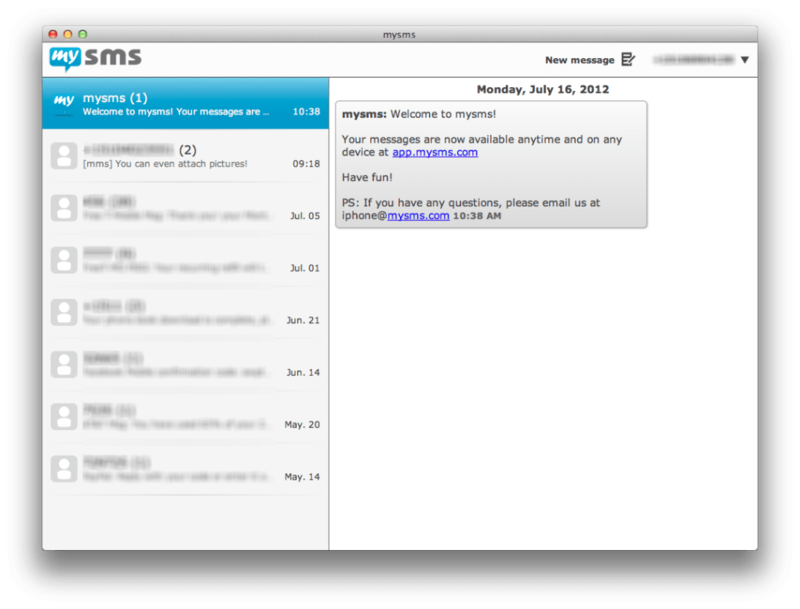 mysms is an application and service that allows you to text and chat from your Mac, using your cell phone number. Sometimes it can be a pain to grab your phone that's across the room to make a text. With mysms, now there's a way to text without leaving your computer. 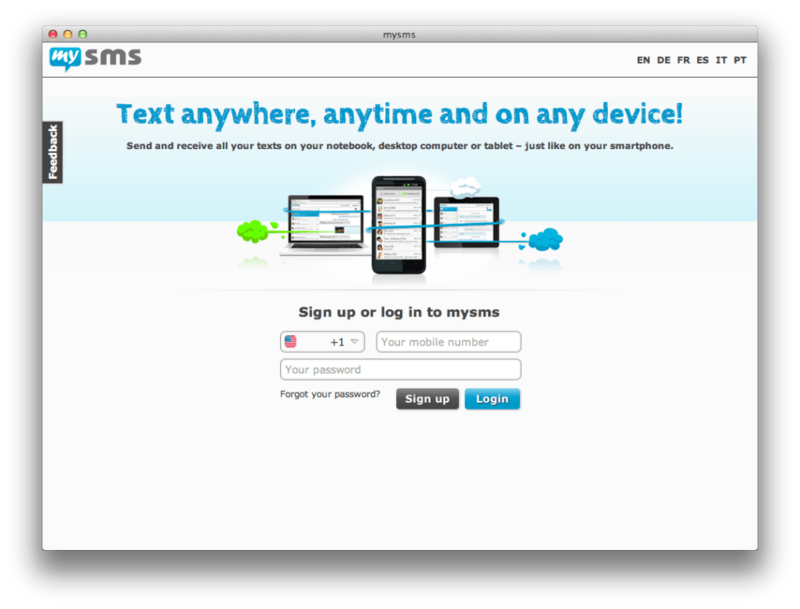 mysms is available on all major platforms, including Android and iOS, and will sync all of your contacts and texts with their servers. The Mac application is easy to use. Choose to create a new message and start typing a contact's name. mysms should instantly show you relevant contacts that it has synced from your phone. This also means that you have to download the mobile version before using the service and desktop app. Each computer or phone you install mysms on will be synced automatically. 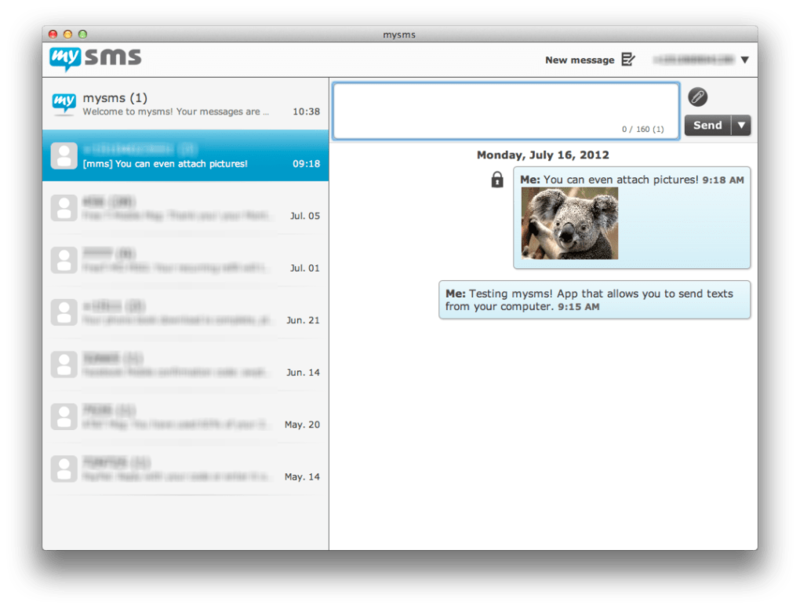 Texts are sent quickly and you can even attach photos to send a MMS. If you send texts using your mobile number, you will still be charged your carrier's text messaging rate but if you and a bunch of your friends are using mysms, you can text each other using their service for free.